This was a mid-size general-purpose computer from Fuji Tsushinki Manufacturing Corporation (currently Fujitsu) -- announced in May 1964. It completely subsumed the capabilities of the FACOM 231, which was popular at the time, and thereby achieved true compatibility, where programs for the FACOM 231 could operate perfectly without changes. Functional extensions, such as higher arithmetic speed (10 times higher than the FACOM 231) and larger memory capacity (up to a maximum of 64KChar, twice that of the FACOM 231), were achieved by incorporating state-of-the-art technology, and thus the system was developed to meet the needs of a new era, with new demands such as online use. The system used 30mil magnetic core memory with a cycle time of 2.2 microseconds, and achieved arithmetic speeds of 58.3 microseconds/82.5 microseconds/850 microseconds(average) for 10-digit fixed point addition/subtraction /multiplication, and an average of 150 microseconds/200 microseconds/1,400 microseconds for floating point addition/subtraction/multiplication with a 10-digit significand. Data channels were developed to allow data transfer between input/output devices and the memory unit simultaneously and in parallel with calculation by the CPU, and this made it possible to build a highly efficient input/output system. With the announcement of the FACOM 230-50, this machine was renamed as the FACOM 230-30, and the FACOM 230 Series was completed (and announced in September 1965) with the addition of a small machine called the FACOM 230-10 (announced in March 1965), and a large machine called the FACOM 230-50. 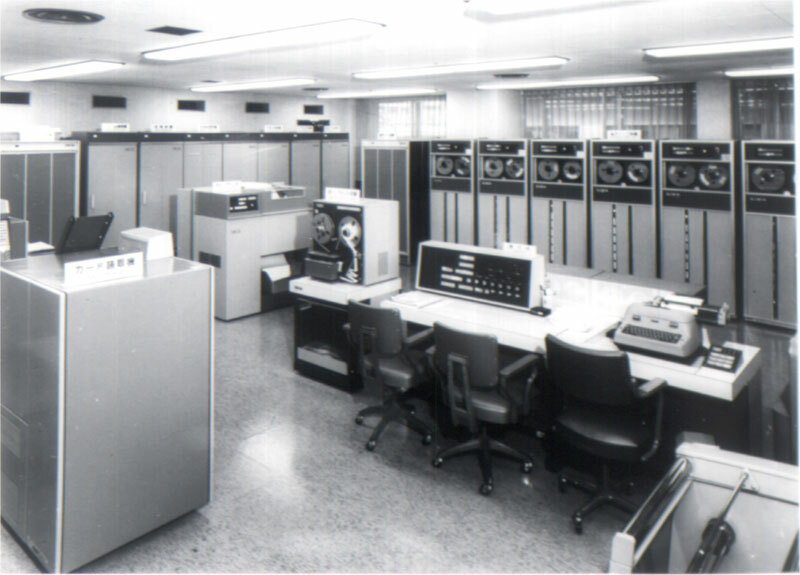 The series went head-to-head with the IBM 360 Series (announced in April 1964). Because the models had a consistent design concept, there was complete software compatibility within the series. The series was also distinctive for having a variable word length system in small and mid-size models, and a fixed word length system in large models so a high performance/price ratio could be achieved at each level.